In 5 #hardtruths and 2 new pledges @#50 I wrote, “choose to know, name, and share your own internet truths. We all know truths about this internet—the place in which we swim, live, and drown daily. Naming our truths to ourselves and others—how our lives here feel, how they mean, what we want, who we know, follow and trust—is a vital step in building critical media literacy.” When I wrote this, I meant to differentiate between objective or scientific or journalistic facts and the deeper sustaining beauty of truth, between data and information and the more human ethics of personal, political, and communal knowledge. Then, a few days later, without planning to, I did something else: I performed a version of personal internet truth sharing in “#55: choose to be digitally productive rather than reactive” when I found myself trying to name what I had learned from my own processes, and linked contradictory feelings, while making this project: how the formative lies of the internet dupe even those of us who claim to know better; how the deception of its formative promise that we each can be seen and heard weaves us into its willing fabric of need, deception, pleasure and its linked abuses. I felt vulnerable writing that post, and still find that I am flitting in and out of that affective place: escalated heart beat, the flushing cheeks of shame. I end each of these #hardtruths with a “See More” list of readings and resources that share the burden of knowing and doing #100hardtruths-#fakenews with others in my community of digital media literacy practice and care. Here, I ask you to provide me with your internet truth. I’ll add them to the list, if and when I receive them. 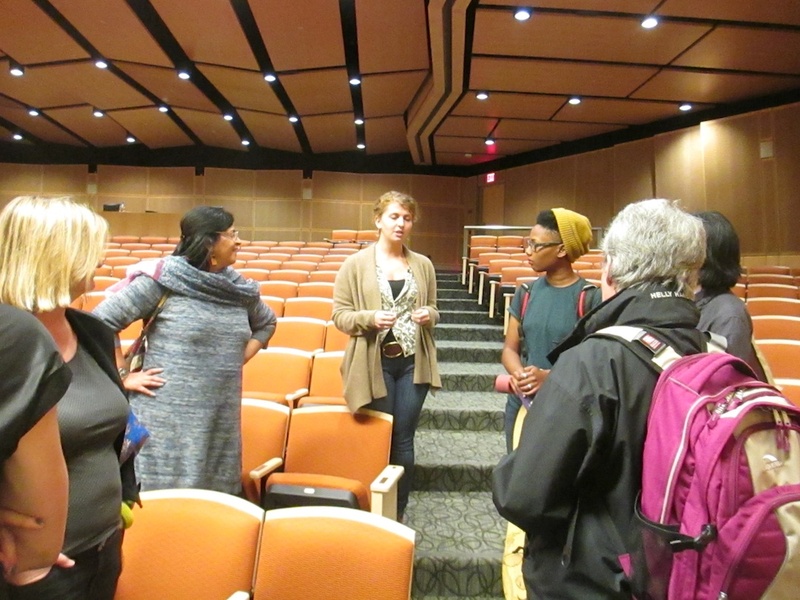 As part of the larger DOCC 2013 effort, I hosted a dialogue between Professors Radhika Gajjala and Sharon Irish—two devoted members of FemTechNet—about their feminist thinking on technology and place. 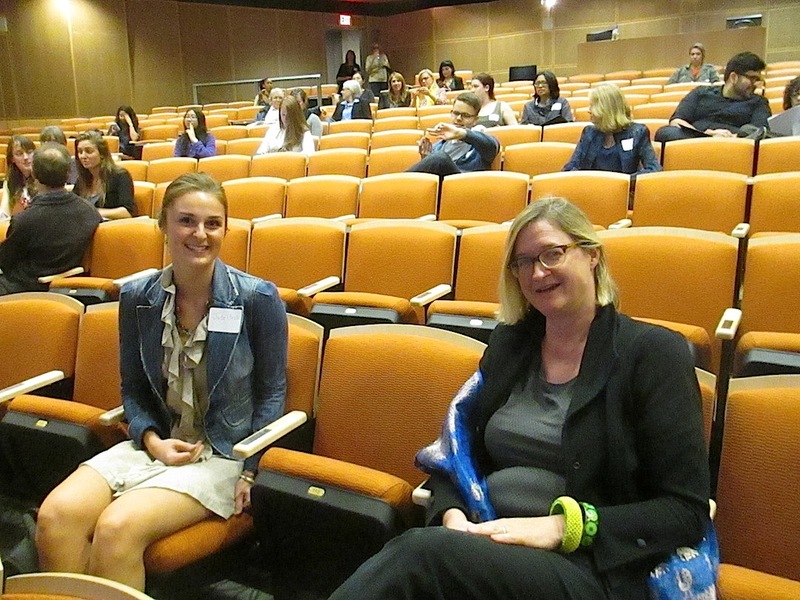 We livestreamed the event from my “Dialogues in Feminism and Technology” classroom at Pitzer College on November 14, 2013. 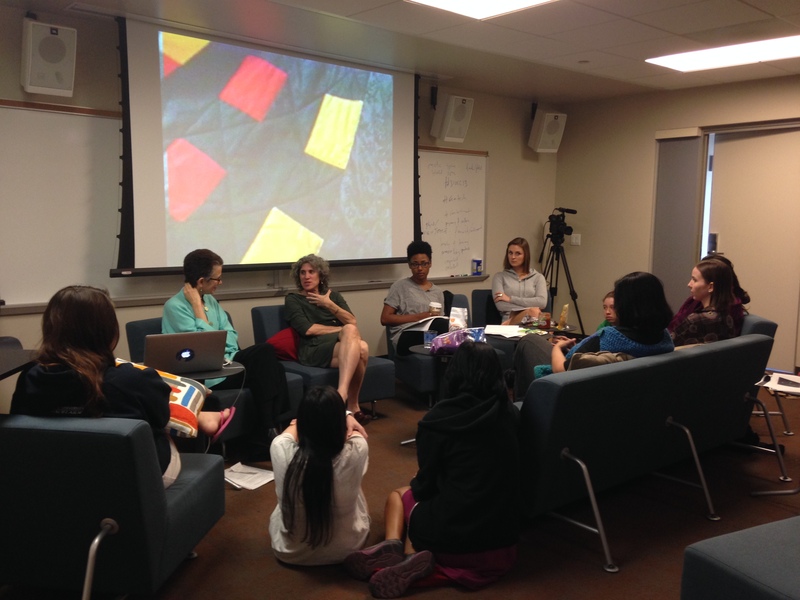 A video of that live event is now available on the FemTechNet Commons. I hope you will watch this inspiring, interesting, and invaluable conversations between two amazing feminist thinkers (as well as their lively interactions with my amazing students). Here, I hope to provide a more personal frame for your viewing, a few ideas that were raised for me in the doing of this event, in its liveness, and lived-ness; things you can’t know, unless you were there, or I write them here for you online. Our digital engagements take us to places and people we might never meet in person in material space and this is grand (most of the participants in the DOCC 2013, for instance). But when we do have the opportunities of funds, time, and bodily energy to meet face-to-face, new, complimentary, and deeply sustaining opportunities of the flesh arise! It is well worth the effort. 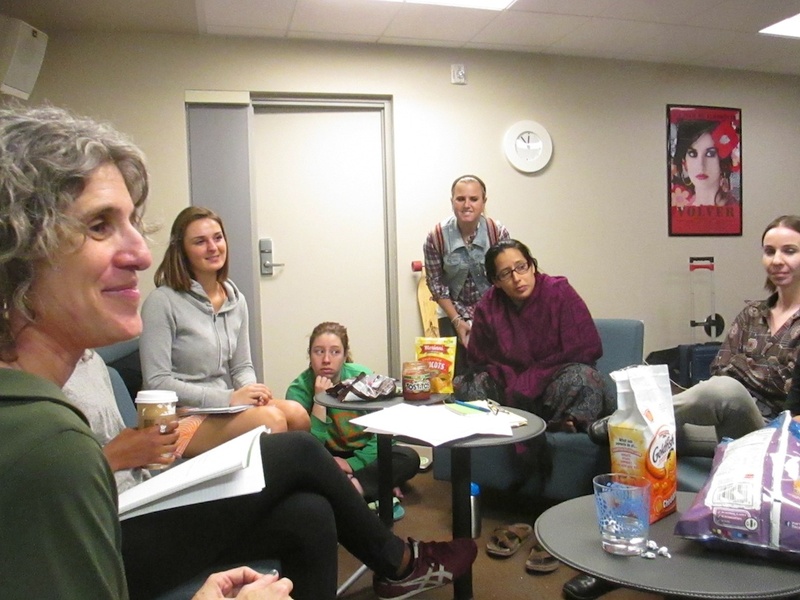 My students have loved “meeting” all the professors and artists we have read this semester on video, through the video dialogues. They discuss how this transforms the authors of the complex and empowering texts we read into people. My students say that they come to understand, by seeing diverse feminists’ interactions online, that real people write what students learn from, and they further realize, as real people themselves, they too are authorized to author. And then again, to meet the thinkers in person brings ever more delights and possibilities. A different kind of sense of these scholars’ complex selves passes in a look, a smile, a nod, or even a touch. Given that the personal or affective or bodily is so deeply connected to feminist politics, theory, and practice, it is no wonder that engaging with otherwise distant “experts” has particular resonances that are of use to feminist students. Don’t get me wrong, I am aware of the possibilities for intimacy and enlightenment in purely digital encounters! I only want to add to that the particular affordances of the embodied. When the official Dialogue concluded, my students ended up sitting in a circle quite close to our guests (something we had never done in class before). We seemed to want to signal that we were close, collaborative, and engaged together in something we all cared about. We signalled with our bodies because we could. This is part of the DOCC challenge to the MOOC. The places we live in and learn in, the places where we come together as situated communities are different, with their own cultures of engagement and interaction and their own styles of and needs for learning. And that brings me to care, with which Radhika also ends the Place video dialogue. She expresses how hard care is to commodify, or off-shore (try as neoliberalism will to do so). The felt care that these travellers shared with myself and my students is part of our larger DOCC 2013 effort where we model together the many ways of feminist knowing and teaching, that always attempt to acknowledge the needs of humans in their many places, online and off.